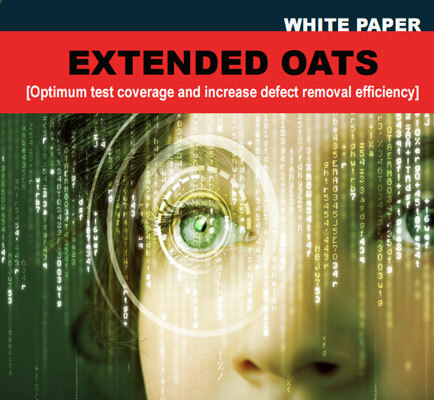 "The OATS (Orthogonal Array Testing Strategy) for resolving challenges faced in testing community"
The Orthogonal Array Testing Strategy (OATS) is a systematic, statistical way of testing pair-wise interactions. This can be used to reduce the number of combinations and provide maximum coverage with a minimum number of test cases. OAT is an array of values in which each column represents a variable - factor that can take a certain set of values called levels. Nearly every company is now reacting with a growing demand to create an enterprise mobility strategy that equips both employees and customers with easy access to key back-end information. At the same time, companies must ensure that any mobile app they roll out will integrate seamlessly with multiple back-end sources to deliver real-time access to order information, shipment notifications, reported errors, pending action items, and more.